Early Readers are stepping stones from picture books to reading books. A blue Early Reader is perfect for sharing and reading together. A red Early Reader is the next step on your reading journey.Naughty Fox is on the prowl again, and the animals of Potter's Barn must come up with a plan to get rid of him once and for all. 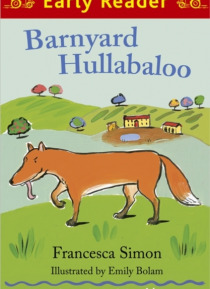 It's time to create a Barnyard Hullabaloo!